I have trained at other camps in Bangkok but Tiger has one of the best facilities that I have ever trained at! My experience at Tiger Muaythai is unique in that I both train and compete out of tiger and also work for Tiger as the main fight photographer. 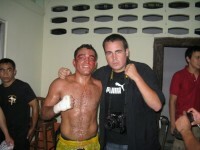 When I first decided to make the voyage to Thailand to further my studies in the Art of Muay Thai I spent roughly seven months researching every single camp that I could find. When I had finally compiled a list of twenty or so I started weighing the pro’s and con’s of each camp. After a few weeks I decided that I would travel to Tiger first, spend a month there and head off to other camps around the country. I ended up spending my entire seven months working and training at Tiger and have now returned for another ten months or so. I have trained at other camps in Bangkok but Tiger Muay Thai has one of the best facilities that I have ever trained at anywhere in the world. 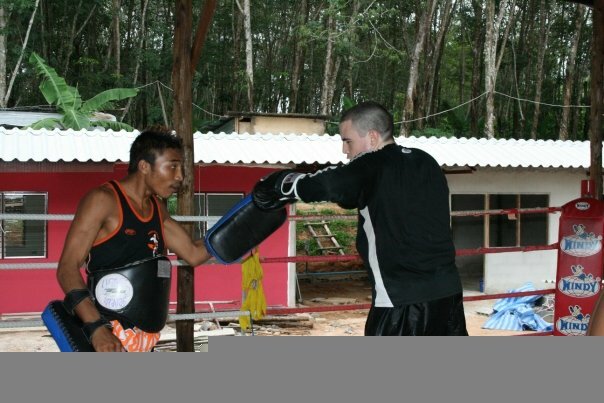 There are many great camps to train at around Thailand but none that boast the quality AND quantity of trainers that Tiger has. Tiger really has become a second home to me. « Take it from someone who never intended to actually live abroad: you will not be disappointed!